MOEMS is a public foundation which provides opportunities for children to engage in creative problem solving activities which develop a child's ability to reason, to be logical, to be resourceful, and occasionally to be ingenious. There are five Olympiads being given every month from November to March. The Olympiad Committee collects the results and keeps a cumulative score for each participant. Each Olympiad consists of 5 questions, worth 1 point each. The Olympiad goals are the following: Develop enthusiasm for problem solving and mathematics, deepen understanding of mathematical concepts and strengthen ability to use these concepts, enrich experiences in intellectually stimulating and significant mental activities. The contests are a challenge and an opportunity to grow. Learning how to solve a problem and to understand its underlying mathematical concepts are the most important goals of mathematics education. About 110,000 students from 5,000 teams worldwide participated in the Olympiads this year. Forty nine states and 27 countries were represented. The highlights for students are the five monthly contests, given from November to March. There are two grade appropriate divisions (Elementary school 4-6 and Middle school 7-8). Each contest consists of five non-routine problems with a time limit of 25 minutes for the entire contest. Every problem requires careful mathematical thinking. A student scores 1 point for each correct answer. Thus, a student may score up to 25 points during the year. After each contest, results are submitted to MOEMS for score keeping. In the Elementary Division a student received a first place award if he scored from 22 – 25 points (top 2%), and a second place award for scores of 17-21 points (top 10%). In the Middle Division a student received the first place award for scoring from 22 – 25 points (top 2%), and for second place, 16 – 21 points (top 10%). Each year School-Plus has been participating in MOEMS. 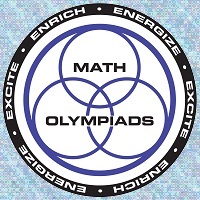 Participating in Math Olympiads is an integral part of the SchoolPlus Mathematics Program. Of course, it is a competition, and some kids will be winners and some will not. But we strongly believe that every kid will benefit by being exposed to these clever and challenging problems. Our Math classes designed the way that through the year teachers have an opportunity to prepare students to the MOEM and discuss possible problems beforehand so students come prepared and as a result we have usually very good outcome. Results 2015-2016: SchoolPlus is thrilled at the news MOEMS gave us about results of 2015-2016. For the 2015-2016 the cut off scores for the gold and silver pin and teams were announced, and SchoolPlus have 3 students with perfect score (25 out of 25) , 14 students winning the gold pin (22-24) and 33 students winning Silver pin (18-21 out of 25). We have two teams with scores 237 and 205 with cut off 197! Math Kangaroo Competition is an international, once a year event, always on the third Thursday in March. Any student in grades 1 through 12 qualifies if he or she can work independently: read and answer a multiple choice test. The competition questions are appropriate for the students' age, are interesting and challenging. Questions are chosen by the International Math Kangaroo Committee.